What does it mean to major in biology? Biology majors can become part of the solution to some of the most important problems currently facing society by using modern scientific methods to understand and predict natural phenomena in the world around us. Students choose between the Bachelor of Arts and Bachelor of Science in Biological Science. The BA degree allows greater compatibility with other areas of study while the more specialized BS degree requires additional mathematics and science courses, and provides more in-depth training in biology. Biologists study living organisms, attempting to understand how they function and how they interact with each other and with their environment. By designing and conducting experiments, biologists gain new insights on a wide range of topics such as the contribution of algae or bacteria to an ecosystem, the role of the immune system in the mating behavior of birds, and the molecular events that occur during the development of a fruit fly. Biology majors gain a broad understanding of the natural world around them and possess an array of skills such as the ability to design and conduct experiments, operate sophisticated instruments, interpret data, and think critically. 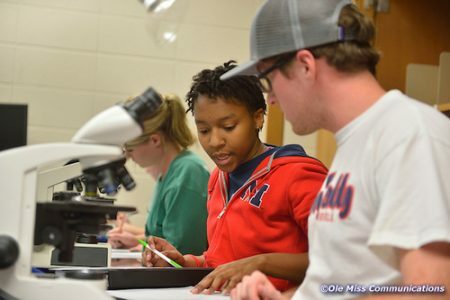 Why is the University of Mississippi a good place to study biology? There are 35 faculty in the department, with areas of specialization that include cell & molecular biology, ecology, biodiversity & evolution, and behavior & neuroscience. The faculty are scientists-educators, with a passion for educating and mentoring students in these broad areas of biological research. Biology majors achieve an understanding of living systems and develop the ability to design and conduct experiments, operate sophisticated instruments, interpret data, and think critically. 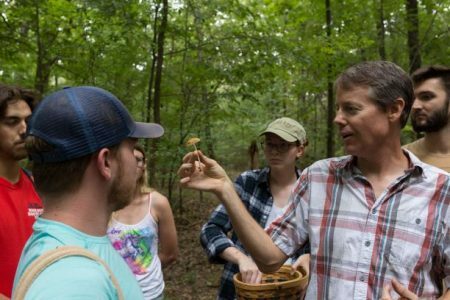 A diversity of courses and a great variety of habitats in north Mississippi provide opportunities for both laboratory and field studies, including a 740-acre field station, a national forest, and flood-control reservoirs. Students can participate in mentored scientific research working in the laboratory with a faculty member. The department maintains a database of undergraduate research opportunities. Adventurous students can explore diverse environments through our programs in South Florida, Grand Canyon, Belize, Costa Rica, and the Galapagos Islands. There are department resources to help students participate in these unique programs. Caribbean Ecology and Conservation, Ecology and Evolution of Sky Island Biodiversity, Californian STEAM: Microbial Science, Conservation, and Society, and Hawaiian STEAM: Microbes, Symbiosis, and Culture are some of the more recent travel courses. 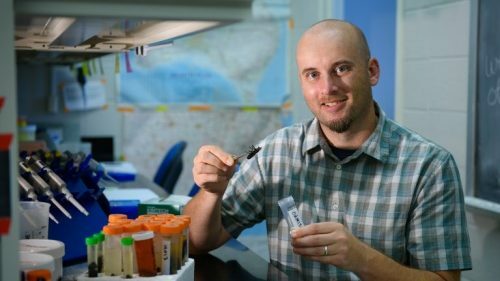 Dr. Ryan Garrick, Assistant Professor of Biology, earned his Ph.D. at La Trobe University, Australia. His primary area of research is evolution, specifically looking at evolutionary biology and population genetics. What can UM biology majors do after graduation? A liberal arts education empowers and prepares students to deal with complexity and change through a broad knowledge of the world. They gain key skills in communication, problem-solving, and working with a diverse group of people. Related careers in biology include health, education, research and development, conservation organization, business, government, environmental law, urban planning, science or technical writer. Keyana was a member of the Sally McDonnell Barksdale Honors College, a Student Judicial Council Chair, Vice President of the Delta Sigma Theta Sorority, Secretary of Habitat for Humanity, volunteer with Increasing Minority Access to Graduate Education (IMAGE), member of Alpha Epsilon Delta (pre-med society), and inducted into Phi Beta Kappa. She earned the nationally prestigious Truman Scholar Award. After graduation, Keyana earned her medical degree and a Master’s in Public Health from Emory University. 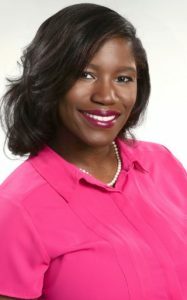 She is still located in Georgia and specializes in pediatrics and adolescent medicine. Dr. Washington is affiliated with Children’s Hospital of Georgia, Gwinnett Medical Center and Gwinnett Medical Center-Duluth. Whom should I contact to learn more about majoring in biology?